In our latest installment of theatre terror, another ‘assembly line’ shooting saw the manufactured media profile of the new threat is no longer the basement dwelling Adam Lanza “loner” character, but rather the happy, fairly well-adjusted teenager who is not even “on the terror radar” (whatever that means). Last week’s Chattanooga tragedy took place on July 17, 2015, an incident which reportedly left 4 Marines and one Navy man dead, seems to have been conveniently overlaid on to a script that we have seen for years now – the ‘Islamic extremist’, working with, or “inspired by” cut-out organizations like Al Qaeda, or the new marketing image known as “ISIS” – carries out another unlikely and seemingly ‘senseless’ act of violence. Pictured: “All American” Mohammad Youssuf Abdulazeez. As shootings go, his event certainly raised the bar. 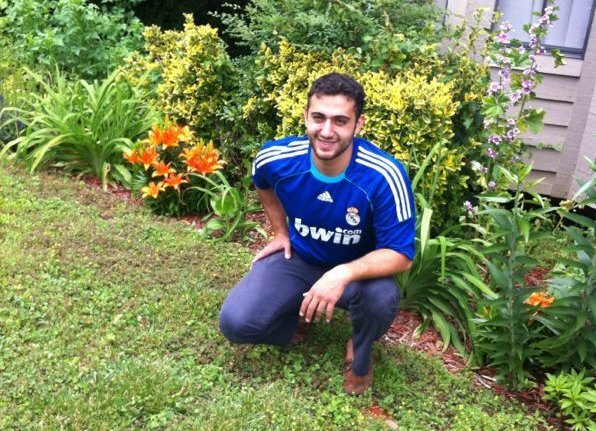 Instead of civilian targets, we are told that this alleged lone gunman, a 24 year-old engineering graduate named Mohammad Youssuf Abdulazeez, had trained his sights on active duty US servicemen. During the his shooting rampage, we’re told that the shooter fired on a US Marine Corps recruiting office in a strip mall, before travelling to a nearby facility, a Navy Operational Support Center, where he claimed the lives of 5 victims, before being shot and killed by police. We’re told that five victims were killed a result of Thursday’s shoot-out (pictured above) – Navy Petty Officer Randall Smith, Marine Sgt. David Wyatt, Marine Sgt. Thomas Sullivan, Lance Corp. Squire “Skip” Wells, and Marine Sgt. Carson Holmquist. According to officials, Petty Officer Smith died on Saturday as a result of wounds sustained on Thursday. The tragedy was followed by an avalanche of media coverage which immediately classified the incident as “terrorist attack”, with most major US media outlets rushing to try and connect the shooter to ISIS in the Middle East. It’s a template that has become somewhat routine in America now. After the national media ‘ISIS-linking’ exercise came the tweets and hashtags, led by #ChattanoogaStrong. “Tonight, love and forgiveness and belief in one another was the theme, because that’s what ‘Chattanooga Strong’ means,” Mayor Andy Berke told local affiliate WDEF. 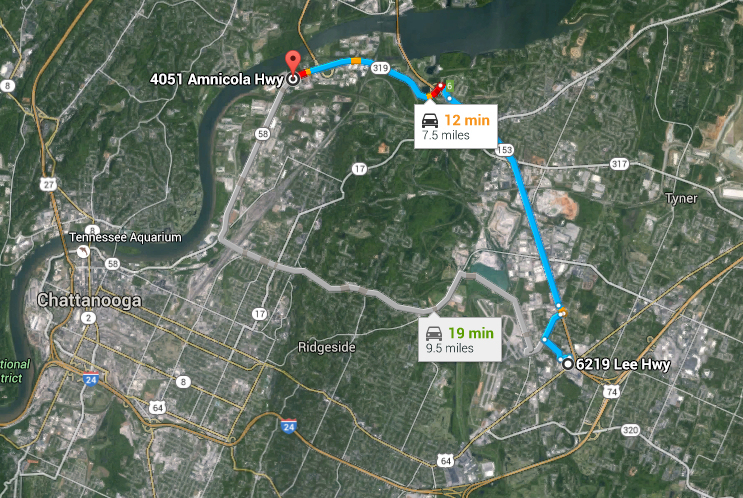 EVENT MAP: Chattanooga Shooter journey. After leaving his vehicle and entering a building on the base and opening fire on its occupants. As US servicemen fled out the back door to safety, the Shooter, armed with semiautomatic assault rifle, reported to be an AK-47, and a handgun (according to the FBI), pursued them into the building’s back yard in the ‘motor pool area’ where he reportedly killed 4 men. 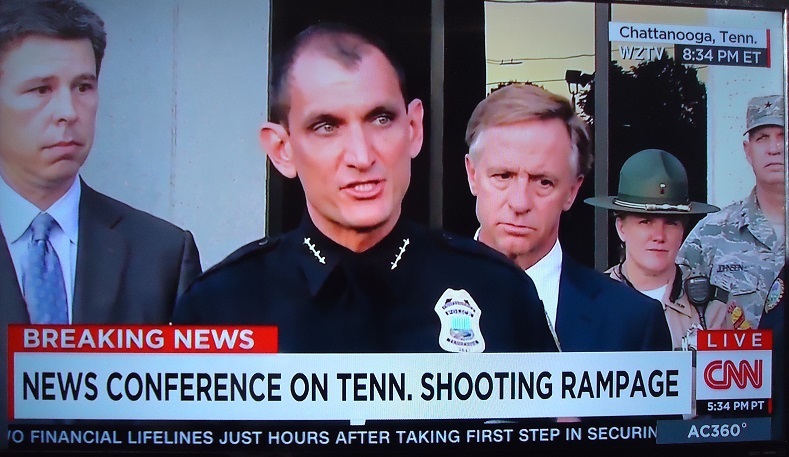 Shortly thereafter, Chattanooga Police arrived on the scene and are said to have shot and killed the shooter. 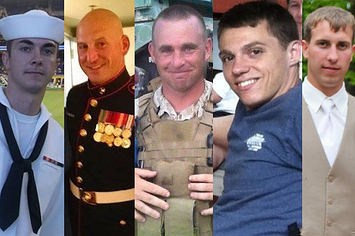 The fifth serviceman, Petty Officer Wells, died later on Saturday from wounds sustained during the incident. Note: Initially on July 17th, the FBI said that the shooter was armed with two long guns and a handgun. The FBI are also saying that they recovered two other weapons from the scene which they say belonged to military police, only one of which was discharged, according to Reinhold. 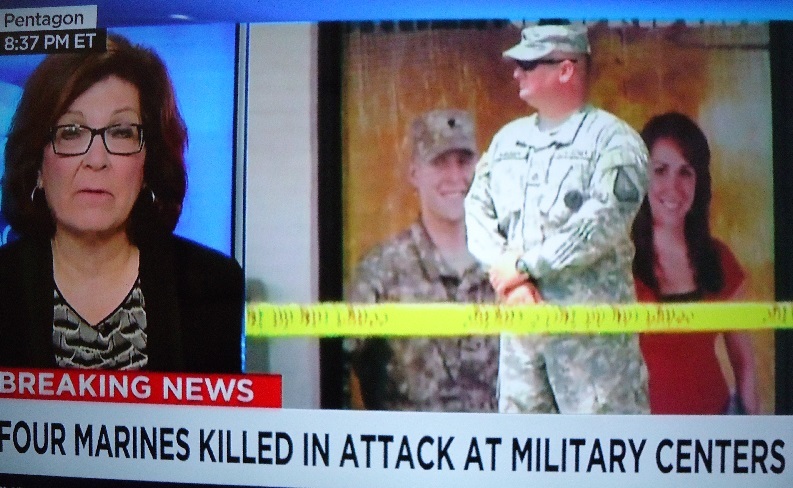 IMAGE: CNN’s coverage of the incident featured this image, displayed on constant rotation, of a soldier appearing to stand guard in front of the strip mall Marine Recruitment shop in Chattanooga. It is important here, not to rule out the possibility that “friendly fire” may have claimed the lives of at least one US Serviceman, as multiple shooters exchanged gunfire in what appears to be a very fast-moving and chaotic scene. 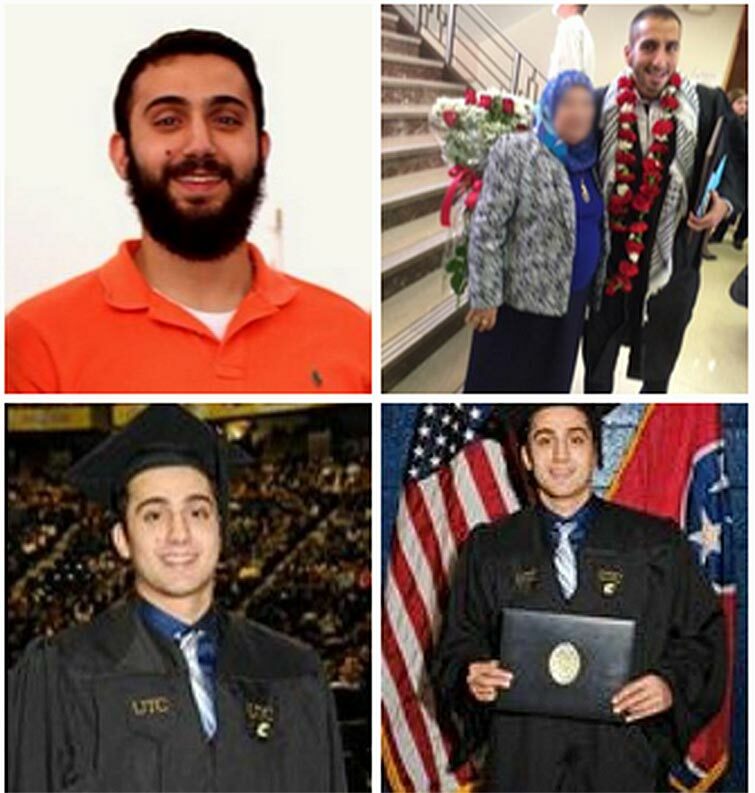 This could be confirmed once the autopsies and ballistics reports have been completed on the shooter and all five the victims, as well as a ballistic report on Chattanooga police officer Dennis Pedigo, who was said to be wounded by Abdulazziz during the exchange. Abdulazeez was also not wearing any body armor or bullet-proof vest – which indicates that he doesn’t appear to be concerned about being shot himself. Some may assume that his was an intended ‘suicide mission’ and therefore the shooter was not concerned with his own safety. Had Abdulazzeez been to the Reserve Training facility on Amnicola Highway before? Authorities insist that he hadn’t, yet the shooter’s deliberate actions on the day indicates familiarity with the venue. Following on to this point, however, is the question of whether or not Abdulazzeez had taken out full damage insurance coverage on his rented silver Ford Mustang convertible. Far from a trivial detail, this might indicate what Abdulazeez believed he was doing on the day. Was it a drill, or a shooting rampage? A similar point was brought up regarding the notorious London 7/7 Bombings, where the bombers had purchased return train tickets – not one way – a detail which supports the thesis that the men believed they were taking part in an inter-agency terrorism drill which we now know ended up going live on the day. Interestingly, all of the blanket media coverage from the day of the shooting was focused completely on the Marine Recruitment Office located at the strip Mall. This gave viewers the distinctly false impression that the victims were shot at the Mall – in a public space. It wasn’t until 48 hours later that we began to hear that the victims were actually shot and killed inside of a secure Navy Reserve Training facility located some 7 miles away. Was this to keep the media and public focused on the Shopping Mall, and not Navy Reserve Training facility? The only evidence presented so far is an eyewitness testimony from apparent bystanders – all of whom maintain that the shooter did not even leave his vehicle – which in itself makes it impossiblefor any of the said witnesses to ID the actual shooter as Mohammad Youssuf Abdulazeez. This central point has been all but glossed over in the fog of mass media misdirection. According to the FBI, as of this week, investigators are still classifying Abdulazzeez as a “home-grown violent extremist”. According to his friends (on record), however, Abdulazzeez did not appear to support the concept ISIS. According to CNN reporters, Abdulazeez told friend James Petty that ISIS was “doing wrong” and “it was a stupid group and it was completely against Islam.” Petty also told CNN reporters that Abdulazzeez “had a drug problem” and used marijuana heavily. Off record however, we see the usual media charade where unnamed “sources” appear to be leaking other contradictory details to the media which may, or may not, be true at all. “Sources” told CNN on Monday that, “The writings also include other anti-U.S. sentiments and are consistent with someone who is having suicidal thoughts.” US media outlets like CNN regularly quote such “sources” but almost never held accountable for the accuracy or validity of these unknown leaks after the fact. In the end, media outlets like CNN are simply functioning as disinformation outlets in the immediate aftermath of these perennial ‘active shooter’ events. CNN then inserted additional vague information from “sources familiar he family’s interviews with investigators” claiming that the 24-year-old had been “abusing drugs for some time”, using “party drugs” and marijuana. Again, this could be more strategic leaking between CNN and the government. This could be viewed as part of a government-media effort to destroy the shooter’s character and influence public opinion in advance of an actual investigation. Certainly, if Abdulazzeez was the “heavy drug user” being characterized by his ‘friend’ Petty and CNN, then this could easily be visible in the coroner’s toxicology report. Will it be released? Unfortunately not, as the case has now been classified, with all information being released on a “need to know basis” – controlled tightly by both the FBI and the Department of Justice (DOJ). 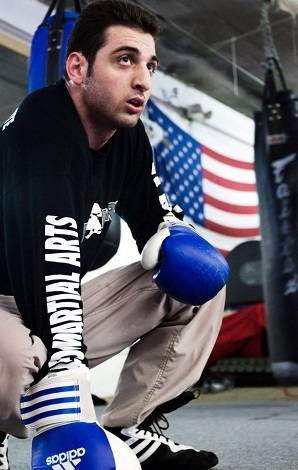 This is interesting to note, as the alleged Boston Bomber, Tamerlan Tsarnaev (photo, left), was also a highly trained amateur fighter – a golden gloves boxing champion no less. Additionally, another high-profile FBI ‘terror sting’ involved 20 year old Ohio resident, Christopher Lee Cornell, who himself was a high school wrestling champ. Even Good Morning America chimed in on Abdulazzeez as the “good American kid” appellation, adding to the evident media spin of the narrative, where the new threat is being crafted to give the impression both mass shooters and terrorists are quite literally lurking everywhere. All-American boys. Are we simply meant to believe that “terror networks” are spreading like a virus through all leisure activities? More specifically, news consumers must observe the newly updated ‘Everyman’ Terrorist Narrative: Leisure activities, or sports like boxing, fighting, wrestling, breed neophyte terrorist juniors. Perhaps all leisure activities have a Homeland Security representative as a liaison, maybe? If you are a male Muslim-American, even integrating with North American culture will not save you from being viewed with suspicion now. Indeed, they could be lurking among us, like Cylons. According to this new media mindset, anyone (theoretically) could be a potential ISIS recruit. Everyman: Mohammad Youssuf Abdulazzeez poses for picture against backyard garden foliage. Was he really “off the radar”, or was he very much on the radar? Or was Abulazzeez, as Tamerlan Tsarnaev had been in Boston, being actively recruited, or even pressured, by the FBI or US intelligence agencies – to accept the role of an undercover informant within the Islamic community? At the very least, we can say that Tamerlan’s name was visible on a ‘classified terror watch list’ long before the actual Boston Bombing took place. Certainly, recent history shows that this is a common occurrence, especially in the US with cases including Chris Lee Cornell and the Garland, Texas “ISIS attacker” Elton Simpson, the 2010 “Christmas Tree Bomber” Mohamed Osman Mohamud, the Detroit ‘Underwear Bomber’ Umar Farouk Abdulmutallab, and also with foreign student Quazi Mohammad Nafis. In Britain, this is also a common practice, as evidenced by the cases of Woolwich slasher Michael Adebolajo, and London care worker and state torture victim, Mahdi Hashi. “The United States has been narrowly saved from lethal terrorist plots in recent years — or so it has seemed. A would-be suicide bomber was intercepted on his way to the Capitol; a scheme to bomb synagogues and shoot Stinger missiles at military aircraft was developed by men in Newburgh, N.Y.; and a fanciful idea to fly explosive-laden model planes into the Pentagon and the Capitol was hatched in Massachusetts. According to other reports, he also had internships at firms Mohawk Industries and a rather curious company called Global Trade Express based in Falls Church, Virginia (in the heart of the US intelligence establishment). It is also worth mentioning that East Tennessee and the Kentucky-Ohio area are a hub for the nuclear, deep state arm of the military industrial complex, as the TVA Abdulazeez had briefly worked for (see below) was formerly the power source for the Manhattan Project and now functions as an axis that links both the NSA at Oak Ridge, TN, where supercomputers are built, as well as the nuclear energy sector, still connected to the TVA and its water power. 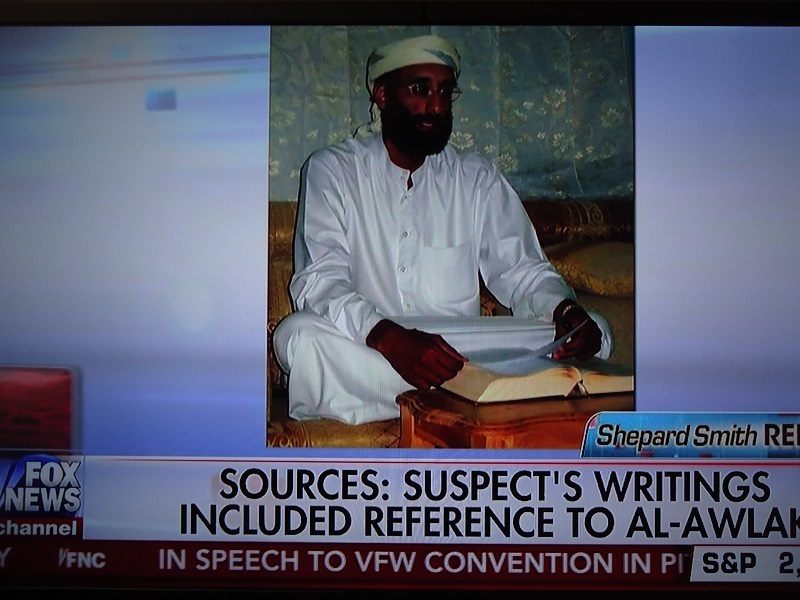 FOX News reports that Abdulazeez recently traveled to Jordan for seven months or Yemen where his “radicalization” might have occurred, yet predictably no mention is made of western intelligence support for ISIS and Wahhabist terror, though even mainstream media has admitted this fact. Just as his family in Chatanooga have been arrested on suspicion of a terrorist conspiracy and taken into custody, Asaad Ibrahim Asaad Haj Ali, the Jordanian uncle of Abdulazzeez, has since been taken into custody by Jordanian security services (at the request of the US). “Western training of Syrian rebels is under way in Jordan in an effort to strengthen secular elements in the opposition as a bulwark against Islamic extremism, and to begin building security forces to maintain order in the event of Bashar al-Assad’s fall. GHOST: References to US double agent Anwar al-Awlaki continues, as the terror avatar is recycled through media narratives. Few, if any, US outlets ever bother to mention that Anwar al-Awlaki was a triple agent working with the FBI and CIA, and was even invited to dinner at the Pentagon after 9/11. Could he have been an informant gone rogue? Was he trained to use heavy automatic weapons like the AK-47 by US military trainers in Jordan alongside ‘Syrian Rebels’ and other jihadist fighters being prepped and sent into combat in Syria? Could it be due to the U.S. support for “rebel” training? Could the Shooter’s apparent rampage part of an inter-agency (military and civilian law enforcement) ‘fusion’ drill gone live? All these are perfectly plausible questions to ask after you consider the existence of so many other FBI informants and Muslim patsies who have been fashioned into terror poster children in recent years. In effect, such incidents, as they are portrayed in the media for psychological conditioning purposes, are intended for the desired effect of causing the public mind to dismiss outdated notions of trial by jury and rule of law for fiat corporate news and government “officials” pronouncements and the acceptance of self-policing and vague terms such as being “radicalized,” which are subject to the elastic definitions of the social engineering establishment. In the mid 19th century, Britain developed a new style of prison architecture known as the panopticon under the aegis of utilitarian philosopher Jeremy Bentham. The unique feature of the panopticon was the transparent nature of each prisoners cell, visible to a central surveillance guard tower that could eye inmates at all times. The result of this psychological experiment, according to the pragmatic Benthamite philosophy, was to produce a self-policing amongst the inmates, a kind of early behavioral conditioning. For social mangers, this was seen as the most economic and ultimately, the most efficient solution. In our day, the expansion of the surveillance state and the vast spying by the NSA and GCHQ is precisely intended to achieve this same effect, with the justifications for such intrusions being mass media terror spectacles like the Abdulazeez shooting. 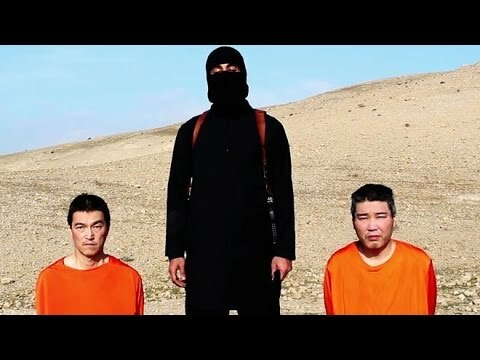 IMAGE: One of the many faked ‘green screen’ ISIS beheading videos, featuring Japanese hostages, and promoted as “authentic” by the S.I.T.E. Intelligence Group. Initially, media pundits appeared frustrated that shooter Abdulazzeez “did not have an extensive online footprint.” This did not stop US/Israeli intelligence PR dispensaries from touting Abdulazzeez as someone with links to ‘Islamic terrorism’. In the past, 21WIRE has presented a number of detailed analyses of the highly dubious terror media emporium known as the S.I.T.E. Intelligence Group run by a woman linked to Israeli Intelligence, Rita Katz, and based in Bethesda, Maryland. Amazingly, S.I.T.E. managed to gain exclusive scoops of nearly every major terrorist video and story. In addition, Katz also employs a small army of cyber sleuths who manage to produce “radical tweets” said to posted by “known ISIS Twitter accounts” which appear to validate many supposed ISIS or al Qaeda terrorist events. Predictably, and lapped-up by the US media, since the incident several alleged “ISIS-affiliated” Twitter accounts have been busy tweeted about the mass-shooting, and praised Abdulazeez for his jihad. 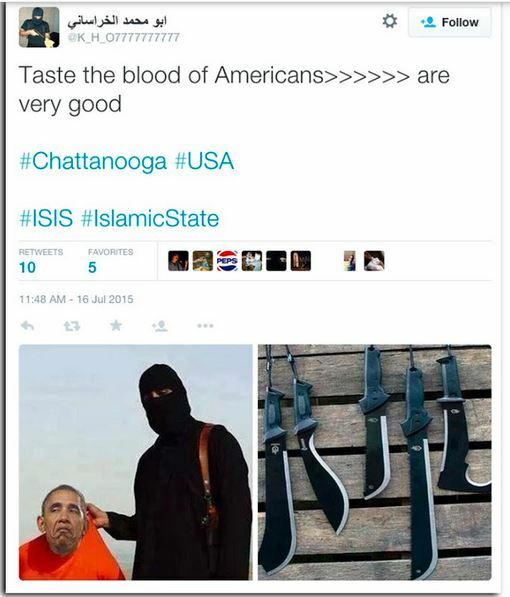 One such “ISIS-related” account tweeted: “O American dogs soon YOU will see the wonders,” and used #Chattanooga. Once inside the Navy Training Base, Abdulazeez’s target acquisition seemed impressive, considering all of his victims had extensive combat, live-fire and self-defense experience. That said, the shooter’s chief weapon, an AK-47, would have required some special training, which brings into question the mainstream media’s ignoring of, what a rational person would assume, are crucial details. It’s reported that Aabdulazeez used an”AK47-style assault rifle with a 30 round magazine,” which is not the typical shooting range weapon which, not surprisingly, CNN associates with Sandy Hook’s Adam Lanza. Lanza, it should be added, was amazingly able to handle this weapon, as well as two others, along with multiple reloads, acquiring all of his targets in an unbelievable record time. If Lanza was indeed the gunman, where did this untrained individual obtain his training in these weapons? One key requirement for a media post-mortem of any mass shooting is the existence of either ‘radical tweets’ on Twitter, or an online Manifesto as was the case recently with ‘random’ Charleston shooter Dylan Storm Roof and also with Norway’s Anders Breivik. Conveniently, Abdulazzeez had post a brand new blog just days before the actual shooting on which, we’re told, expressed passages with cryptic meanings and “Islamic views”. The Chattanooga Shooting upped the ante, so to speak, on this normal cycle of talking points, because this time the ‘Homeland victims’ were not just lowly civilians or innocent bystanders. No, now the victims were US servicemen, Marines no less. The victims, referred to by CNN’s Pentagon Correspondent Barbara Starr as “The Fallen”, have been cast as war heroes who gave their lives for FLAG & COUNTRY. Welcome to Battlefield USA. According to this new mainstream media narrative, the Chattanooga Shooter has already been classified as an ‘enemy combatant’ – which infers that ISIS has now brought the war to The Homeland, and therefore, the federal government is on high alert in order to counter this new internal “extremist threat”. This new paradigm is an incredibly emotive and manipulative one. In this new atmosphere of fear, anyone who dares challenge the official narrative here risks being called unpatriotic, or even a traitor. Government set pieces embedded within the US mainstream media have taken full advantage of this haze by launching an aggressive campaign demanding that US Servicemen within ‘The Homeland’ be required to carry firearms at all times – in order to “defend themselves against hostiles”. Of course, when they say ‘hostiles’ they are referring to potentially anyone within the US population – so practically speaking, this means the entire US population is potentially hostile, then theoretically, all uniformed US troops must be arms in public to defend themselves. With most mass shooting, or gun-related events in the US, more emphasis is placed on the post-event press conference than anything else. It’s a scene that Americans have become used to in recent years – the Sheriff or Mayor taking the podium at a curbside ‘snap’ press conference – complete with all of the various set-pieces (persons) arranged behind him for the camera. Make no mistake – these events are staged for the cameras. Art directors are always careful make sure that the scene paints the correct picture, and sends the right message, and includes the right mix of male, female, white, latino, black, Asian, civilian and military. It’s almost patronizing to the viewer, but demonstrates just how the state carefully choreographs these scenes. Another theme immediately present in all mass media coverage was the fusion of local municipal law enforcement and the military. This was presented symbolically in images, but also spoken of over and over by pundits and public officials alike. Within hours of the event, we were told that Federal investigators had taken over the investigation. 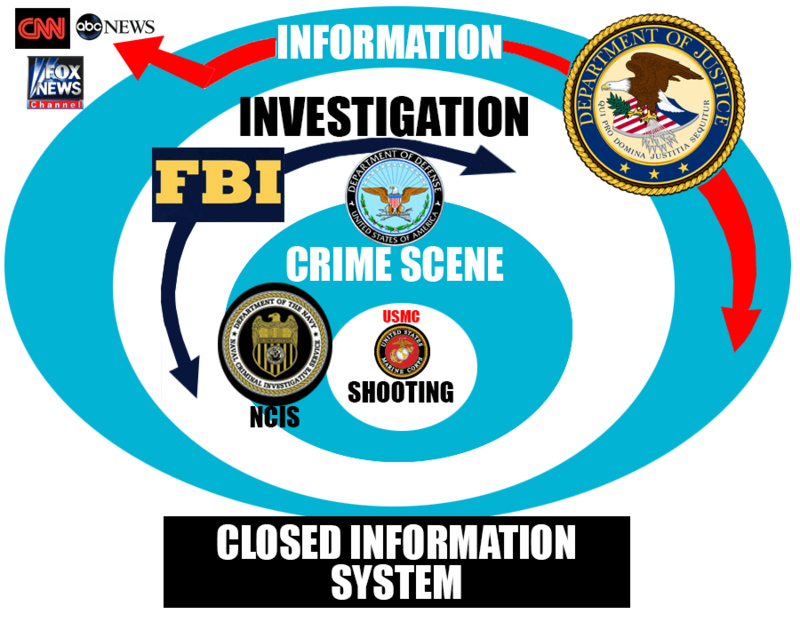 It’s important to recognize, from a public perspective, that the entire dissemination of the Chattanooga Shooting is a completely state-controlled, closed information loop. In other words, the media coverage you are viewing as a member of the public is completely dependent on ‘information’ which has been drip-fed to selected mainstream media outlets. No local law enforcement managing the crime scene and evidence, and absolutely independent press or persons, are allowed a look in. From the outside looking in, we see a crime scene located on a secure military base, with the investigation being managed by the FBI, and with all information – in and out – being managed by the US Department of Justice. The case then falls under the label of “Classified”. Will the public be allowed to inspect the evidence, the ballistic reports, the autopsies? Not for 50 or more years, and even then the public can expect a heavily redacted file. This seems to be the norm now with most mass shooting events in the US. As with Sandy Hook and the Boston Bombing – the main body of evidence from the Chattanooga Shooting shall remain ‘Classified’, aside from any sanitized reports which may drift into the public domain. Already, a number of state governors have enacted new “security measures” for their National Guard personnel and military facilities. Yesterday, while said to fearing a repeat of Chattanooga, Arizona Governor Doug Ducey ordered more than 200 members of the Arizona National Guard – and potentially thousands others – to be armed while on duty. Similar moves by state Governors are also underway in Florida, Texas and Oklahoma, to name only a few. Much has been made by the FOX and Right-wing Talk Radio crowd about how US Military personnel are forbidden to carry firearms on bases and other outposts (like recruiting offices). The same crowd continues to blame this apparent outrage on former President Bill Clinton. Although Clinton is responsible for numerous pieces of audacious legislation during his tenure this was not one of them. Right-wingers will have to blame one of their own instead, these “gun-free zones” were actually the work of President George H.W. Bush whose deputy secretary of defense Donald J. Atwood signed the Department of Defense (DoD) Directive 5210.56 back in February 1992. Legally, Posse Comitatus defines the US Army as the main functionary, but does not specifically mention naval services, eg. US Navy and Marine Corps. Legally, this gives room to interpret the naval services as exempt from Posse. Do not be surprised if private security contractors like Blackwater/Academi insert themselves into this situation in order to exploit a potential loophole in Posse Comitatus, whereby mercenaries can be armed on domestic shores – where US soldiers cannot. The potential for additional billions in profit for private mercenary firms here is massive. At the very least, we will see most state National Guard personnel armed from now on, as well as a new multi-billion dollar ‘security upgrade’ program at all US military facilities, including vehicle-resistant retractable barrier systems, and possibly bullet-proof windows at exterior guard kiosks. Firstly, to increase powers of the armed police state. Secondly, to restrict firearm ownership of private citizens. Both of these outcomes empower the State. The first is almost a given, while the second is more difficult to achieve because of the existence of the Second Amendment. While talking points 1-3 are on going issues in the US and remain as hotly debated topics, point number 4, which essentially says, “we need to do more to confront ISIS in the Middle East” – is an agenda item which has been aggressively pursued by militarists in US media and politics ever since ISIS brand was officially launched to US audiences last summer in 2014. Militarists believe that with each passing shooting, or ‘terror plot’ in the US – that Americans would become increasingly scared, and angry, and so it should (in theory, anyway) be increasingly easy to make the case for a redeployment of US troops into the Middle East once again. 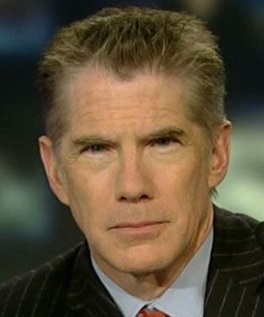 One militarist pundit and ‘security expert’ who is a regular on US networks,Mike Baker (photo, left), said to be an “ex-CIA covert agent”, founder of private security and intelligence firm, Diligence LLC. Not long after the Chattanooga shooting, Baker could be seen ranting on CNN, calling for Washington to do more to “confront ISIS overseas” and talked about increasing US infantry presence in the Middle East, even though no actual link had yet been made with the shooter and an overseas terror group. Although companies like Dilligence are likely privatized arms of the western state intelligence apparatus, having their CEO on a national broadcaster promoting military adventurism in a region which his business is already active should speak volumes about the chronic conflict of interest which seems to plague networks like CNN and FOX News. Clarke went on to advocate that US allies Great Britain and France do the same. Clarke’s edict should not be taken likely, as globalist spokesperson Clarke has been used on past occasions to publicize other real globalist agendas. Nazi comparisons aside, the fascist idea of rounding-up hundreds of thousands of marginalized Americans and locking them up in internment camps has happened before in the US, when during World War II the US federal government locked up most of the Japanese-American populationunder the paranoid pretext that each of them were potential foreign agents of Tokyo, including women and children. If you are paying close attention to each of these so-called “terrorist” incidents, it’s becoming more obvious how media coverage contains the same identical talking points, outlining a repetitiveHegelian Dialectic of problem, reaction, solution. Beyond the increased militaristic rhetoric and the increasing police state power-grabs, there is another deep state agenda emerging amid this series of apparent “domestic extremist” and “radical Islamist” attacks in the US and Europe. A very well-funded, albeit, artificial social movement is now emerging. It is a new Islamic ‘Reformation’ Movement focused primarily in the US, but which potentially be co-opted in Western Europe. With every passing shooting, FBI foiled terror plot and terror scare, it is being gradually nudged along. This is especially evident in the CNN and FOX’s carousel of hand-picked mainstream media ‘Islamic experts’ like Dr. Zudhi Jasser, founder and President of the American Islamic Forum for Democracy (AIFD). Jasser a regular contributor on both CNN and FOX, and is a favorite call-out in the aftermath of any so-called violent‘Islamic’ incident covered by US media. 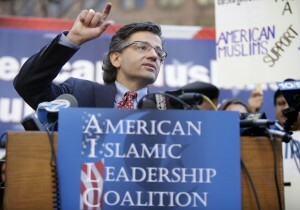 Jasser prescribes a new “reformist”, more muted version of Islam for the US and beyond. On the surface, Jasser’s commentary, advocating separation of mosque and state and a more “peaceful Islam” sounds very reasonable and attractive. After all, who wants radical ideologies festering in America? But when you explore with a bit more depth, Jasser’s politics are that of a dedicated neoconservative. Far from being an independent voice or advocate, Jasser is the public face of an extremely well-funded 501c tax exempt empire of institutions and foundations, and his US media appearances are carefully managed. Following the Chattanooga Shooting, Jasser came with his usual talking points on FOX News at the time of the shooting, saying, “The is a war,” and that, “he (the shooter) hated America and he wanted to establish the Islamic State”. It’s difficult to pinpoint exactly who is directing this new “reformist” effort in the US, but it’s clear by watching the identical fashion in which all of these events are executed, and covered in the media – that this is highly coordinated and is not a short term campaign, rather, it’s planned to nudge its way ahead over the next decade or more. One way to find some answers here is to follow the money. A Syrian-American, it’s no surprise then that Jasser is also a major advocate for regime change in Syria, and seems to endorse the US, European and GCC financing and arming of multiple ‘rebel’ paramilitary factions (which automatically included terrorist fighters as well) inside Syria. Regime change at any cost, even if it’s a brutal, protracted proxy war. In perfect alignment with US State Department and Israeli Foreign Policy objectives. Noticeably absent from any of Jasser and other similar pundits’ post-terrorist attack monologues is any reference to the western covert, or clandestine agency involvement in any these supposed “terrorist” events. If any government agent plays a role in creating the conditions for the incident, or worse – is a moving part in the scenario itself – then the entire ‘Islamic Terror’ conversation should immediately become null and void. If transparency and objectivity were the focus of their inquiry, then the behind-the-scenes FBI involvement in almost ever high-profile ‘domestic terror’ incident should be the center of the discussion, but instead it remains obscured. Again, the Hegelian Dialectic at play here is an obvious one. One could argue that by pumping up the specter of Islamic extremist at home and abroad, it will be much easier to brow-beat the western Muslim community into submission by inducing a wave of collective guilt. Enter the self-hating Muslim. Reformist architects see the taming of Islam as not only necessary, but also as a historic juncture in the religion’s history – as significant as European protestant movements were 600 years ago. A crucial question here could be: would the reformist architects carry out synthetic terrorist events in order to ensure that their agenda moves its way along the timeline at a more urgent and faster pace? Regardless, the clandestine realities remain. While foundation-funded ‘Islam experts’ continue to promote the illusion that we live a world devoid any government clandestine activity, billions of taxpayer dollars per year continue to go towards covert operations both at home and overseas utilizing thousands of agents, informants and patsies – and so long as this is the case, then we should expect to see ever more these so-called ‘terrorist’ events. 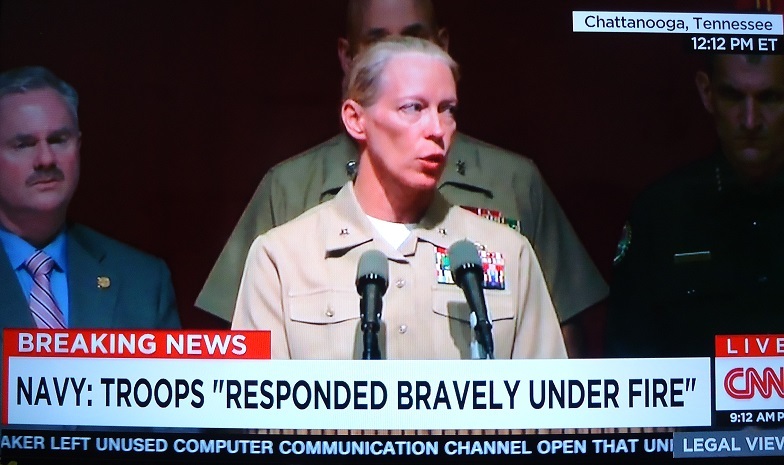 Nothing about Chattanooga made sense, and as long as these events remain sealed underclassified layers of federal bureaucracy, it’s unlikely we’ll ever know what really happened. But don’t fret, there’s always next week’s shooting.